There is no handbook for cricket farming, Eric Palen will tell you. If you want to raise urban chickens there is a way to do that. If you want to start a cattle ranch there are others who have gone before. But when you have founded Minnesota’s first edible insect farm you have to do things the old fashioned way—you have to figure it out yourself. “[North Star Crickets is] continuing in Minnesota’s agricultural tradition but looking to the future at how food production needs to change to accommodate a growing population, food security, [and] climate change,” says Eric. 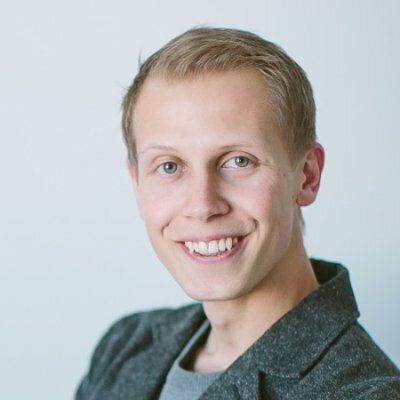 The idea for North Star Crickets began percolating in Eric’s mind sometime after 2013 when the United Nations released a report advocating for edible insects as a key component in the future of sustainable food production. As countries become more affluent their demand for protein grows. At the same time, a growing global population means less land to utilize for food production. We know first hand in a place like Minnesota that raising a protein source like beef cattle requires a lot of land space, feed, and water. What if there was a way to produce protein more efficiently with less space and fewer resources? Eric has done his research and has a plethora of reasons to support the viability and benefit of farming crickets as a new protein-rich livestock. 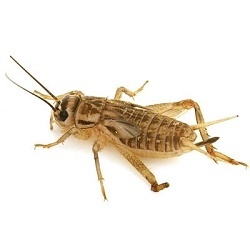 Not only are crickets superior to cattle in resource usage, they also produce far fewer greenhouse gasses and they are more simple to process—100% of a cricket is edible food as compared to 40% of a cow. In addition to being a protein source, crickets are also very nutrient dense boasting an impressive combination of iron, calcium, and vitamin B12 among other health benefits. After harvesting his crickets (which can be done year-round by the way), Eric either roasts a batch in the oven and flavors them for snacking or grinds them into a powder that can be added to or substituted for flour in baked goods. 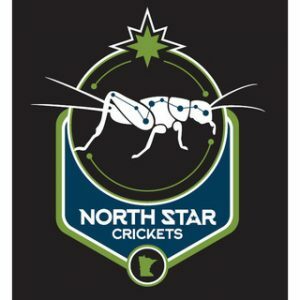 Since its launch in the past year, North Star Crickets has formed some unique local business partnerships. Eric has teamed up with T-Rex Cookie on a limited run of chocolate “chirp” cookies and Lake Monster Brewing to upcycle their spent brewing grain as cricket feed. North Star Crickets is the first business of its kind in Minnesota and one of only a handful of other edible insect companies in the nation. That said, Eric’s primary contribution to the edible insect market—his “original thinker” edge—is still emerging. The demand is greater than what he is able to supply. Right now he is looking for an investor and business partner to expand his operation. In the meantime, Eric is perfecting his process and writing the proverbial handbook for cricket farmers to come. To learn more about North Star Crickets follow them on social @northstarcrickets.